PINE CHANNEL - There are two bedrooms, two baths and a comfortable living room/dining area all furnished in the light, bright colors of the tropics. 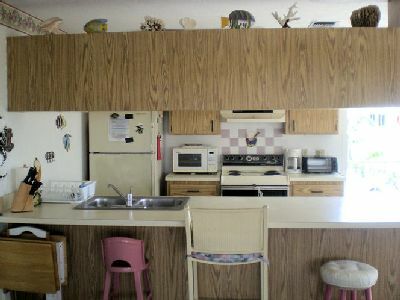 The kitchen equipment includes a dishwasher and microwave to making preparing those meals quick and easy. The master bedroom has a queen size bed and the second bedroom offers two twin beds. Screen porch over looking canal. 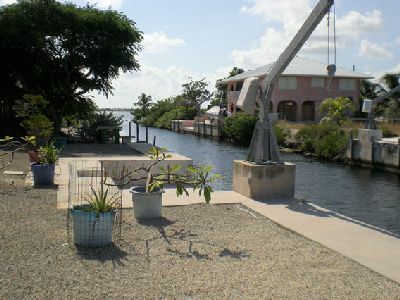 Concrete dock, easy access to the Bay. 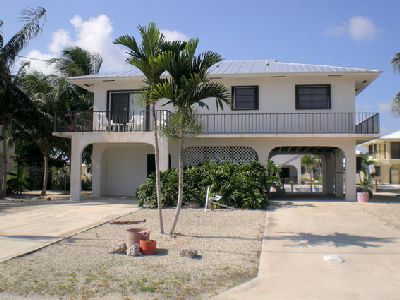 Cable television and amenities which make this home a delightful place to enjoy a piece of paradise.